Make and Do run painting and making workshops for children of all ages. They will supply two members of staff and all materials including tables if necessary. A standard day would consist of a ‘drop-in’ system, whereby around 200 children will come and go as they please, each one making something to take home – no booking required. There are many items available to make including masks, hats & small banners. 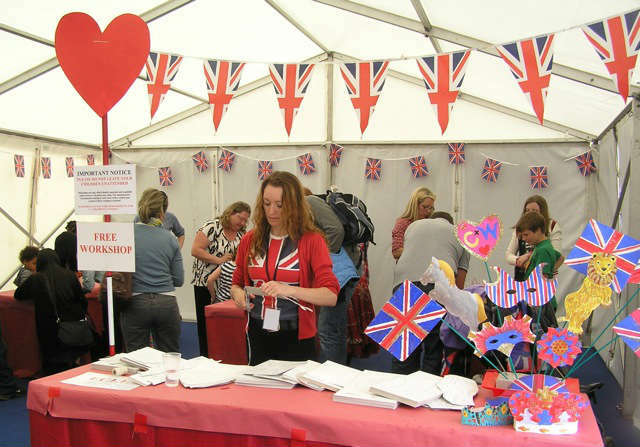 There are a wide range of Arts & Crafts themes to choose from, and workshops can be tailor made to suit specific promotions. Please not that Make and Do cannot be responsible for children – adults must be local at all times. Make and Do have been running workshops for 14 years and have developed a very smooth system of dealing with large volumes of children. All workshops are self-contained, well controlled and leave no mess. In a standard day they run 2 x 2-hour Arts & Crafts workshops with a break in between. The ideal space is 4 x 4 metres, but this can be flexible. On the 19th of May the Olympic flame arrives at Lands End. If you are one of the many communities participating in its epic journey across the UK our Olympic Torch making workshop is a perfect way to get involved. Makes include Olympic Torches, Union Jacks, and a variety of Olympic themed flags and banners so every one has something to wave as they cheer the torch bearers on their way. 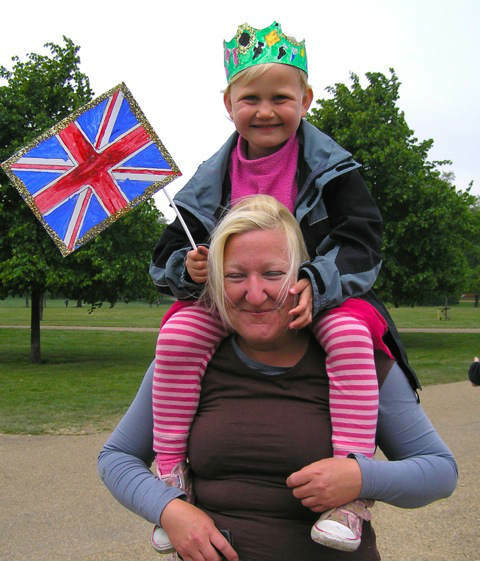 Planning a street party or event to commemorate the Jubilee? 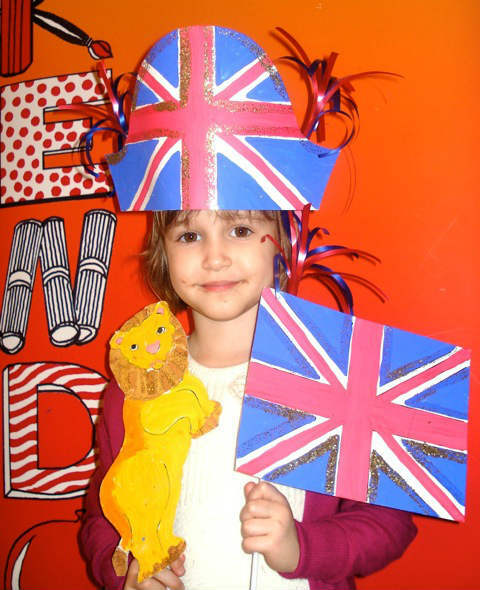 Every one will enjoy making our Union Jack hats, flags, crowns, banners and more, lasting souvenirs of the royal occasion. There are more opportunities to wave the flag with out Team GB flag and hats, Olympic lions etc or if you just feel like like celebrating everything our classic carnival workshop is hard to beat. Making Union Jack flags, Union Jack hats, crowns, tiaras, entwined C and W hearts, Celebration banners, horses, unicorns, celebration hats, flags and masks all ready to celebrate the big day! Make some shamrocks, St Patrick hats, flags, banners and masks ready to celebrate in style! Jungle is a hugely popular theme and one of the favourites. Colourful and vibrant with wonderful animals and flowers. Makes include: Elephants, giraffes, monkeys, leopards, snakes, flamingos, crocodiles, lions, tigers, exotic birds and butterflies. elephants, seals, lions, tigers, trapeze artists, strong men and acrobats. Fly to the moon with this magical Make and Do workshop. A lovely theme for the winter months. Children can make: Rockets, flying saucers, spacemen, aliens, masks, moons, stars, planets and much more. starfish, shells, and sunshine banners. Bugs World is a lovely spring/summer workshop, very popular with the children. Makes include: Caterpillars, snails, dragonflies, bees, grasshoppers, hedgehogs, spiders, webs, butterflies, ladybirds and beetles. Also a huge variety of colourful flowers. Yehaa! Way out West with Make and Do. A very popular theme. With a smaller group of children it is even possible to make a huge totem pole. Makes include: Cowboy and Indian masks, coil snakes, snake masks, totems, headbands, eagles, buffalo and horses. With the interest children have these days in witches and wizards we have developed our Wizard Magic theme. Makes include: Witch and wizard masks, wizard hats, dancing wizards, owls, bats, cats and rats, unicorns, flying horses, frogs, toads and much more. Definitely a favourite with all children. Dinosaurs are a guaranteed hit. Makes include: Dinosaur masks, dinosaur banners, prehistoric flowers and insects. Hoist the Jolly Roger with Make and Do. Pirates are a perfect summer theme, full of colour and energy. Makes include: Pirate hats, masks and flags, parrots, mermaids, dolphins, fish, sharks sunshine masks and much more. 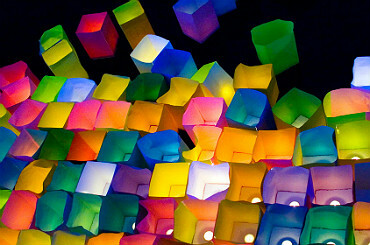 Carnival is a wonderfully colourful, exciting and universal theme suitable for any event. Perfect for Festivals and Parades. Makes include hats, masks, Carnival costumes, banners & flags. Liven up your parade with a splash of Make and Do colour. Hats, masks, banners and simple costumes are quick to create at drop-in workshops. We can also work with smaller numbers (around 20) to produce spectacular group artworks – e.g. carnival dragons, giant fish, pirate galleons etc. Make a date on February 14th and book a Make and Do workshop. Children can make: Cards, hearts, flowers, cherubs, doves, butterflies, bees and lovebirds. For a spooky spectacular at Halloween book your Make and Do workshop. Children can make: Pumpkins, witches, wizards, ghosts, vampires, skeletons, mummies, rats, cats, and all things that go bump in the night. Celebrate the joys of spring with a Make and Do workshop. Children can make: Chicks, hens, bunny masks, eggs, flowers, birds and butterflies, rabbits and Easter bonnets. All mothers will enjoy receiving home made gifts on their special day. Makes include: Cards, flowers, birds, hearts, stars, suns and moons. Decorations, gifts, magic wands, fairies, Santa, reindeer and snowmen masks, robins, angels, and Christmas trees. Celebrate the Chinese New Year with a Make and Do workshop, or book a Dragons workshop at any time. Children can make: Chinese hats, dragons, dragon masks, dancing dragons, dragon banners, lanterns, tigers and Chinese star symbols. 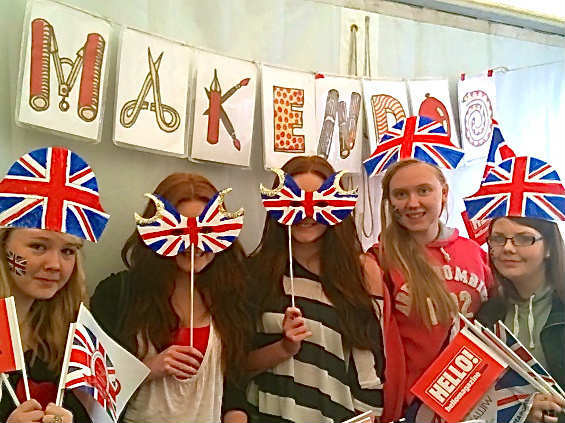 Celebrate St George’s day in style with a Make and Do workshop. Makes include: Knights, dragons, and maidens, helmets and masks, St Georges flags and hats. A popular subject in schools. Most children love all things Egyptian. Makes include; Mummy, Pharaoh and cat masks, pyramids, palm trees and Hieroglyphs. headbands, unicorns, elves, giants, goblins, and monsters, flying horses, magic wands, pixies and much more. Perfect for any Victorian Christmas events. Period masks and quaint Christmas items. Perfect for a Christmas workshop with a difference. With all your favourite characters including, Snow White, the Wicked Queen, Peter Pan Cinderella and Captain Hook. Knights, Damsels horses, lions, shields helmets and dragons, a perfect theme for a parade. Lots of masks and hats through the ages. Including, the Egyptians, the Middle ages, The Elizabethans, The Victorians, Gangsters and molls and much more. A great theme for a booking over several days, visiting a new country every day. Countries include India, Africa, Britain, America, China, South Seas and Egypt.